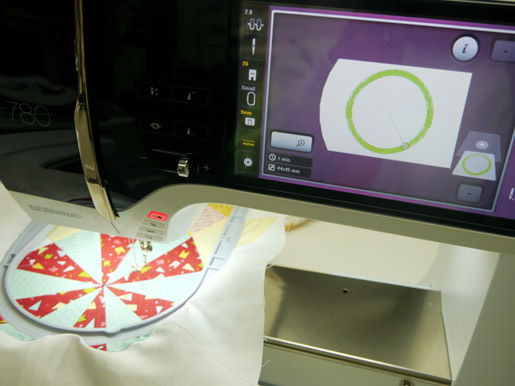 Appliqué Center Circles the Easy Way – by Embroidery Machine! 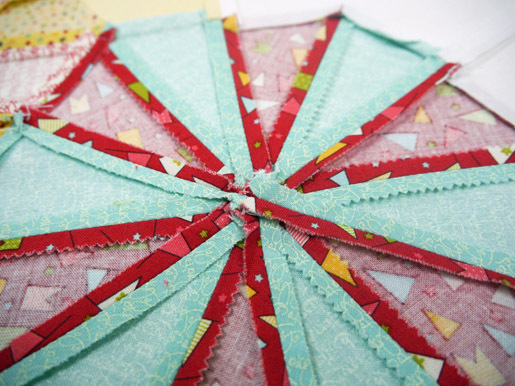 Kari Carr of New Leaf Stitches shares a painless way to stitch multiple appliquéd center circles for Windmill, Dresden Plate, and other pinwheel-type quilt blocks. Machine-embroidered appliqué! 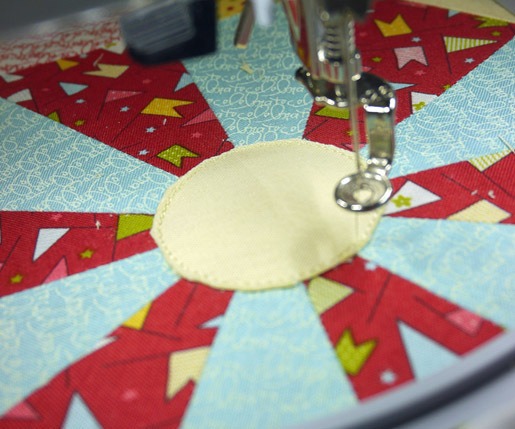 Have you ever been faced with the daunting task of making a bunch of appliquéd circles? 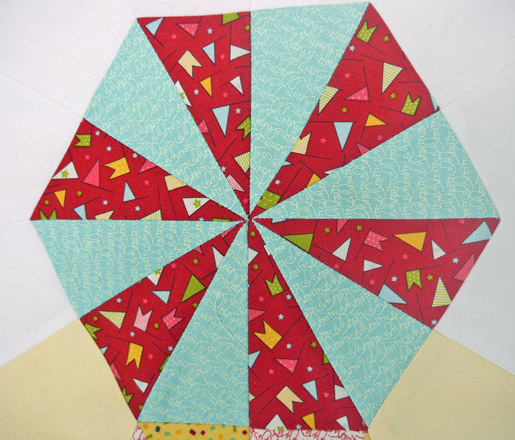 I’ve been working on a new design that has 25 small windmills. and there wouldn’t be any bulk because the seams would be pressed perfectly flat. Yeah, right! 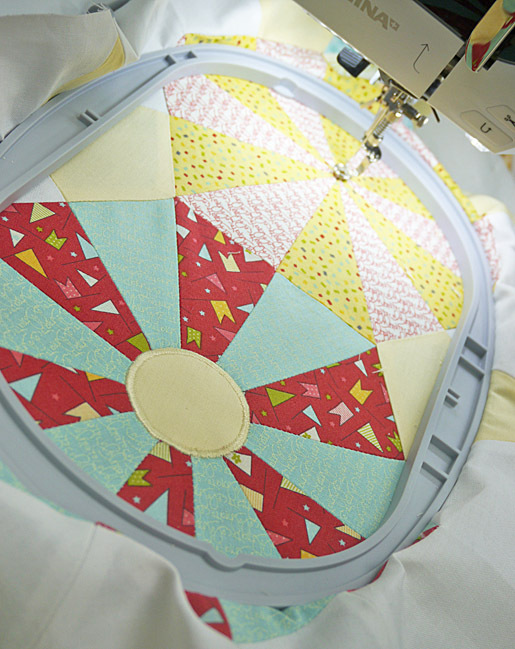 After putting off this task for as long as I could, and spending time doing some machine applique with my BERNINA 780, the idea came to me that I could just machine appliqué the center circles. Brilliant! I loved the result! So here is a quick overview . . . . 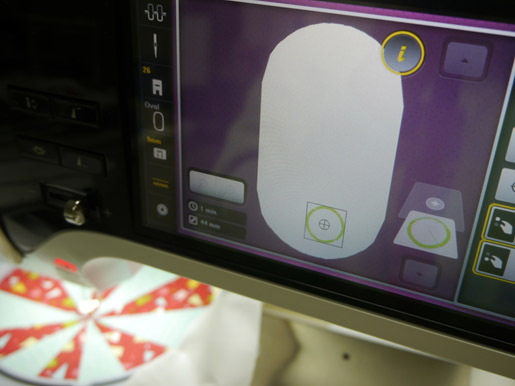 I easily digitized a circle (using BERNINA Embroidery Software) in the size that I wanted for the centers and used a USB stick to transfer the design to my machine. The virtual placement guides easily let me center the design on my project. Then I placed fabric over the hooped design. I didn’t use any stabilizer, but I did double my appliqué fabric because it was a light color and I didn’t want the under fabric to show. This is something that you will want to experiment with on your own project. Once the circle was stitched into place, I trimmed away the extra fabric and stitched the satin stitch all the way around. For this project I was able to get two designs in one hooping, which also saved me some time. 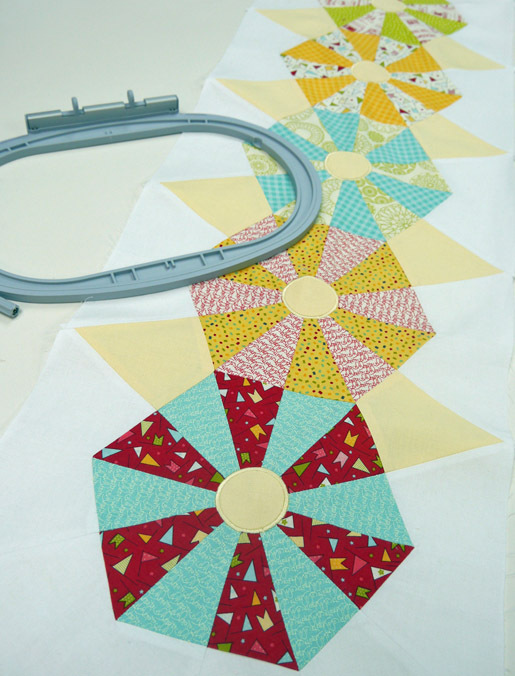 All I needed to do was use the virtual placement again to center the second appliqué. 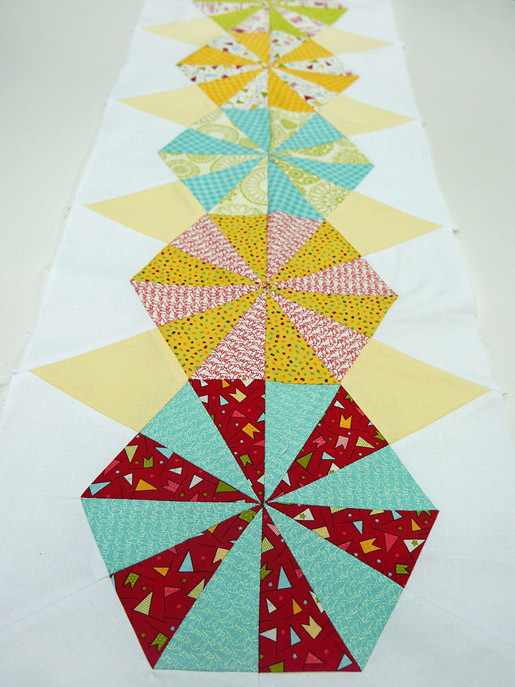 I cut away all the bulk on the backside and there is no fear of fraying! 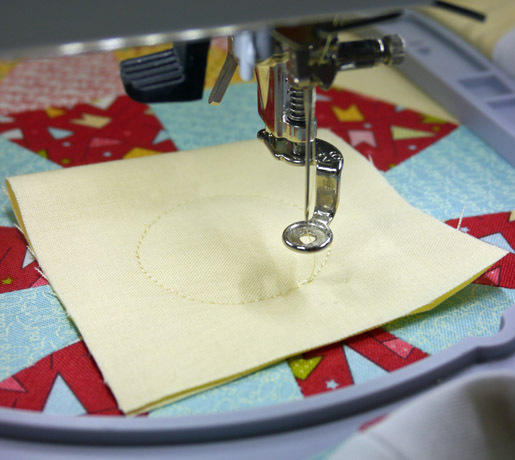 Perfectly centered, perfectly round, perfectly stitched and . . . quickly accomplished! 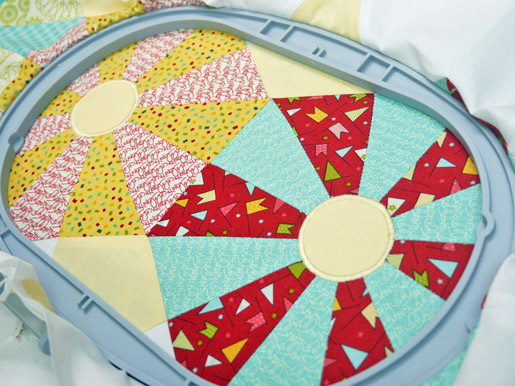 I will definitely use this idea for Dresden plates or fans in the future and I hope you will too.